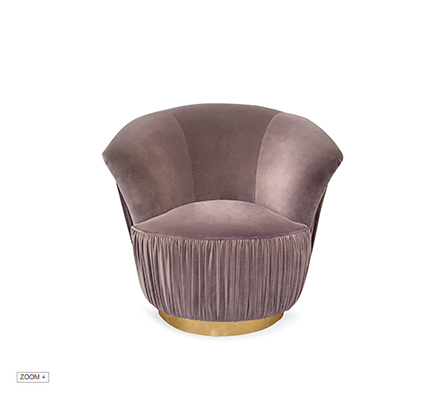 Poised and regal, the Countess reigns supreme even in the most luxurious designs. Her fanned back is reminiscent of the royal collars adorned by highnesses of days past. 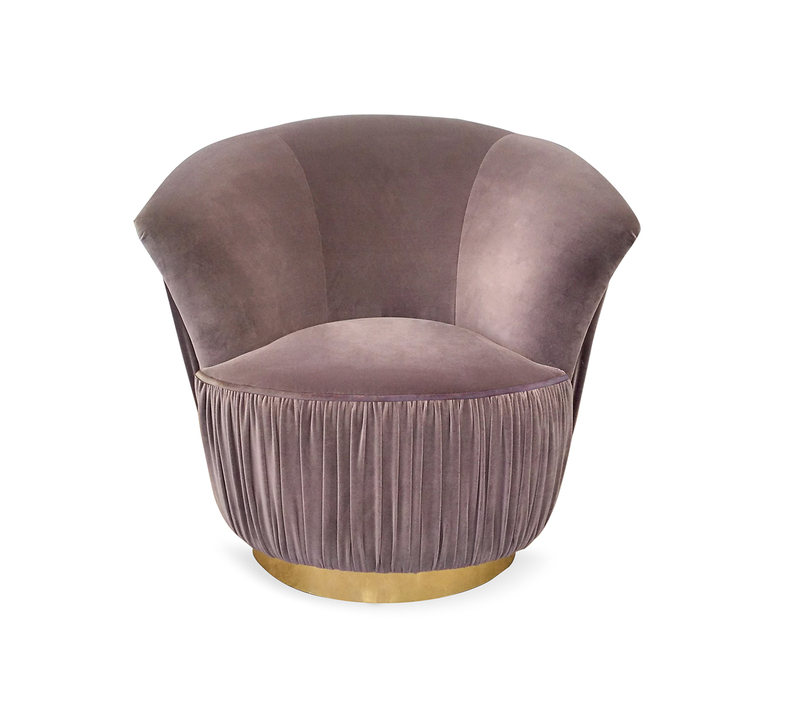 Her ladylike figure is covered in plush velvet upholstery fabric, sitting perched upon a brass ring base.